My self esteem is probably lower than average and thus my personal style suffers. I don't exactly have a lot of money and I hate my body type. I find it painful shopping for my style/shape and budget. Since 2010 is fast approaching and two of my goals are to get a job and to loose weight I feel like Spring is the perfect time for a new wardrobe. This post is a collection of my favourite trends, outfits and icons. A guideline for my Spring Shopping, if you will. They are just the most beautiful women in the world in my opinion. Vintage Clothing is not only original and stylish but its environmentally friendly and you can pick up some amazing bargains! Two modern day celebrities who I think represent old Hollywood Glamour are Scarlett Johansson and Kelly Brook. So two trends I've loved in 2009 are Wet Look Leggings and Leather Jackets. I guess this trend was further fueled into popularity by the new 'Vampire Obsession'. Luckily for me, my favourite colour to wear is black. Accessories are my one true love! You can't look fat in shoes! You're never too tall or too short for bangles! And earrings don't make you look washed out! Basically I love the lack of discrimination that accessories have. Anyone can where them with confidence and then can transform any outfit. I think Rachel Weisz Looks gorgeous here! Thats pretty much my style summed up! If you could own Any Accessory in the World What Would it be? 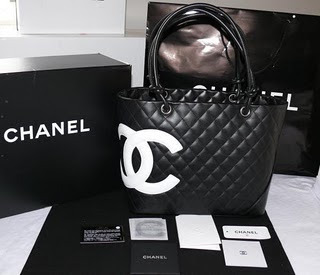 the black chanel back that lauren conrad has! 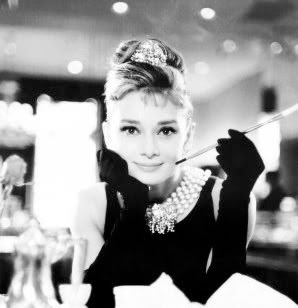 love Audrey, she is just pure beauty. also love a bit of vintage. theres a few great vintage shops in Bristol that are amazing.